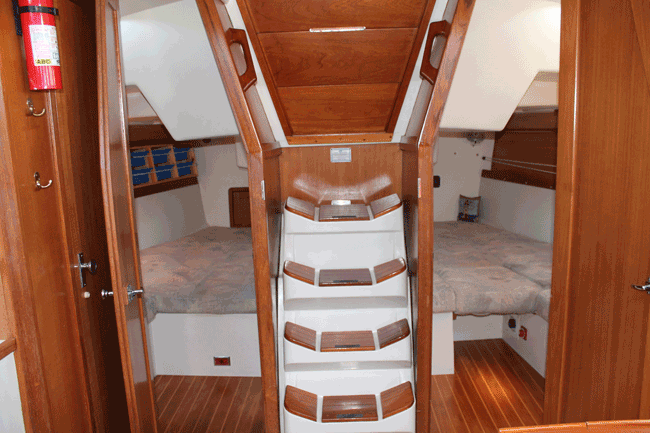 This Catalina 42 Mk1 features a tri-cabin layout, with a Pullman berth in the forward stateroom, two private heads, one with a separate shower. 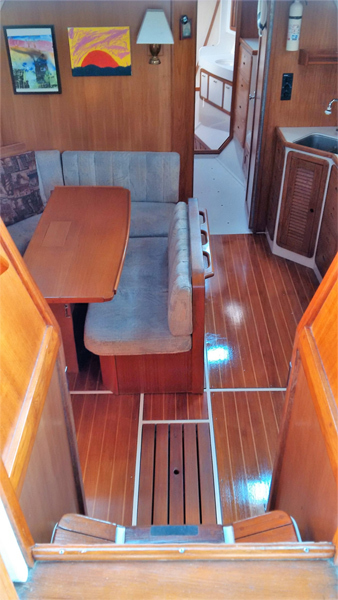 Below decks are bright and spacious owing to a 14 foot beam, 6 foot 8” head room in the main salon and 6 foot 6” headroom in the forward stateroom. 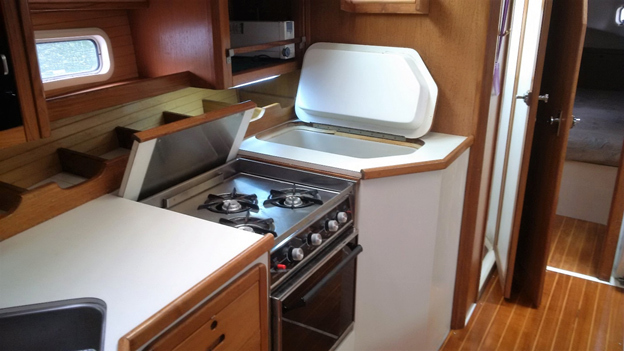 The galley is fully appointed with a double sink, hot and cold pressure water, 3-burner propane stove plus oven and a large refrigerated ice box. 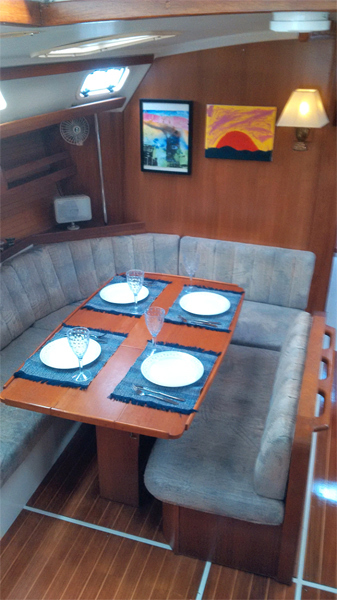 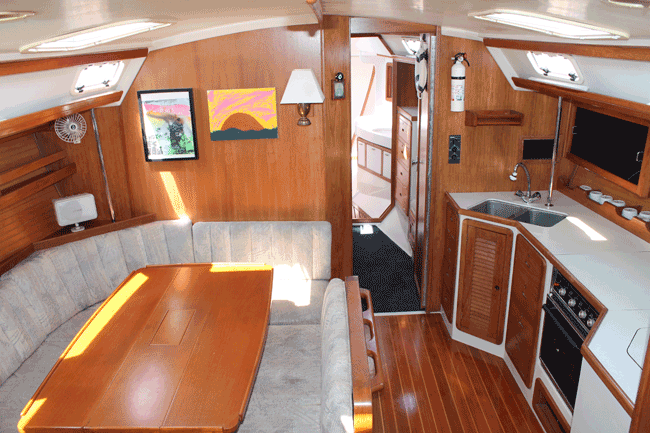 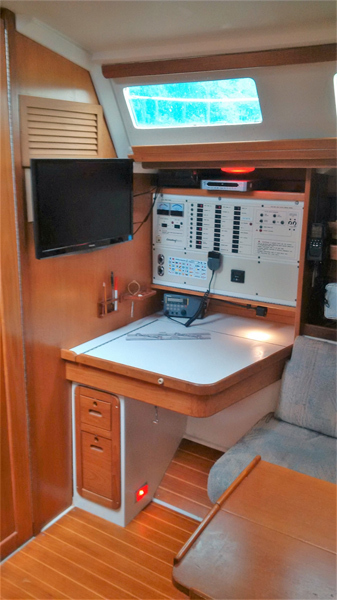 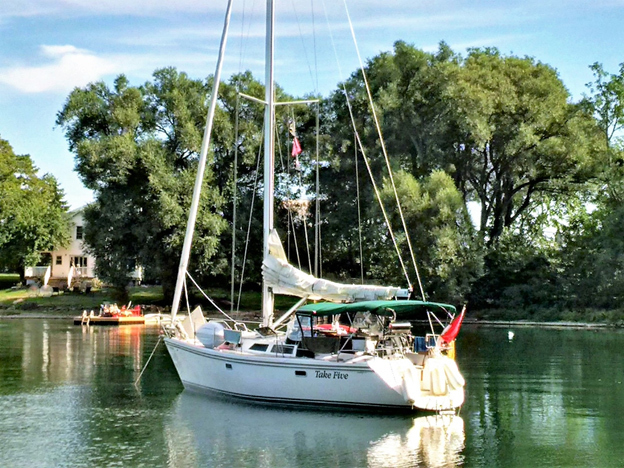 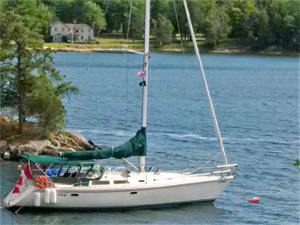 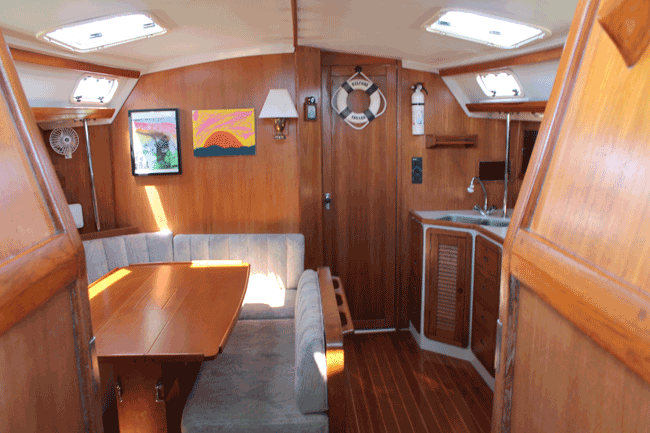 This sailboat will comfortably accommodate 3 couples, each in double berths in their own stateroom; or larger group or a family with children and can sleep up to 7 people. 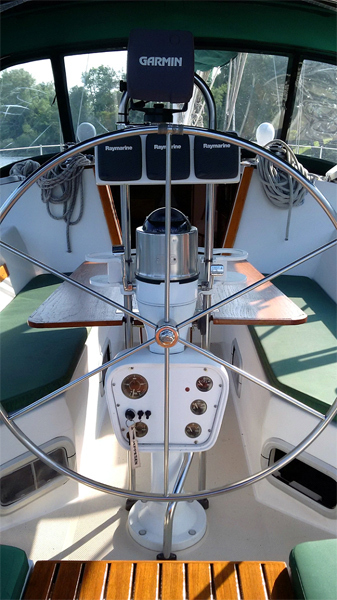 All lines run aft to a spacious, well-sheltered cockpit. 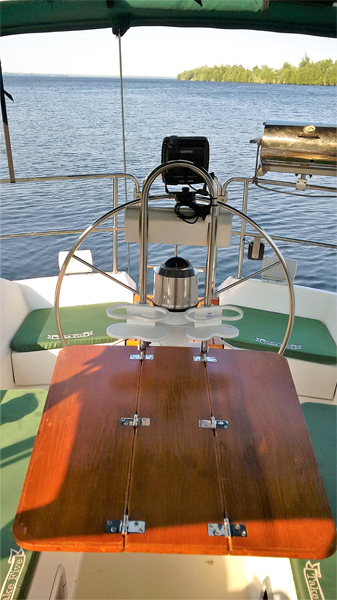 Sail handling is simplified with a furling genoa and Dutchman sail flaking system on the main sail. 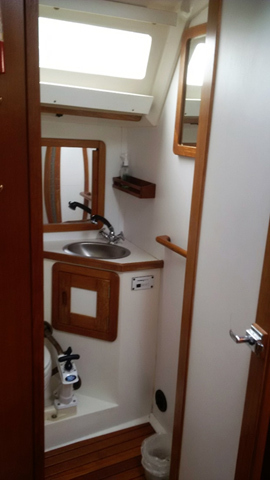 The hull is based on a Nelson/Marek racing design with walk through transom, swim platform (with hand-shower) and shoal draft winged keel.